This isn’t an optical illusion, but it will test your eyes in a different way. The image has a big error but you might not notice it right away. HINT: Take you time and look at the puzzle again. 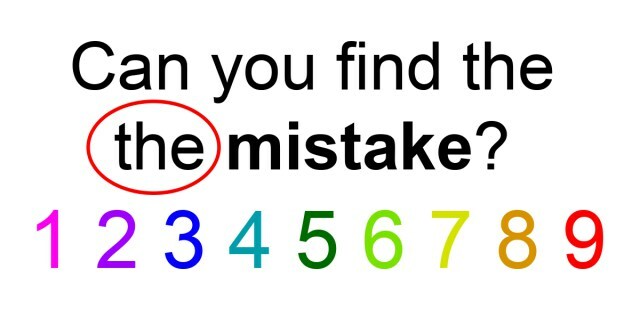 Have you found the mistake yet? The biggest trick for people is if they read it out loud. You’ll notice it right away if you haven’t yet. If you have, how long did it take you? Feel free to share this with any friends you know that might also love puzzles. It’s a tricky one and if you don’t notice it, you might feel like the answer was staring you right in the face because it was. THE SOLUTION: Are you ready?